From invitations to thank yous, your wedding stationery is a chance to put your personality – and the little details that make your relationship unique – into print. 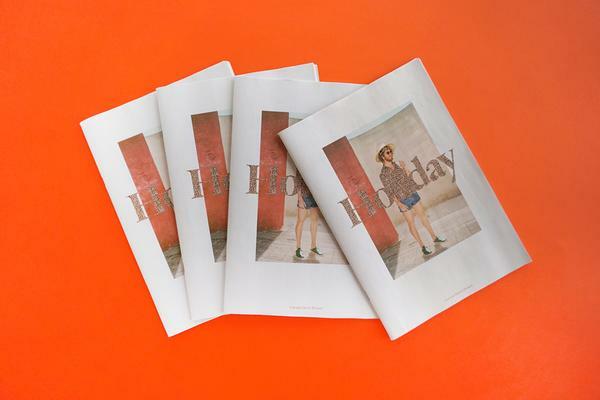 Whether you're planning a lo-fi church hall affair or a lavish extravaganza, there’s a newspaper for every couple – and with flexible print runs, starting at 1 copy, a newspaper for every size of guest list! In their own words, 2 couples, and 1 wedding photographer, tell us how digital tabloid newspapers played a memorable role before, during or after their wedding. Wedding invitation newspaper for Elisa and Nicolás. Printed as a digital tabloid. Photo by Gesi Schilling. I’m a graphic designer and illustrator and had been looking for an excuse to print something with Newspaper Club long before my wedding came along. When I started planning, I knew exactly where I wanted to make my invites! I was really bored of all wedding invites looking the same and not really representing the couple. They are usually very fancy, cold and old school. I wanted our invites to feel relaxed and really show our personality. Wedding invitation newspaper for Elisa and Nicolás. Printed as a digital tabloid. My family is from Spain and we got married in the Costa Brava. For most of my friends it was a destination wedding and they were going to be traveling to a new place. I wanted to make a newspaper that could fit all the information I wanted to share with them. "My wedding was three months ago and I still get comments from guests about how much they loved the newspaper." I imagined guests keeping the newspaper on their coffee table in the weeks before the wedding as a travel guide. 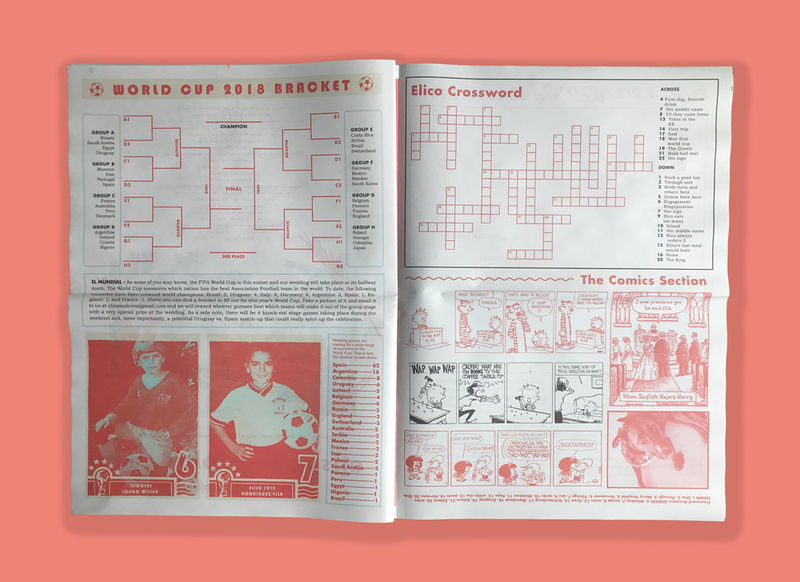 We included a crossword puzzle, a World Cup bracket, a music playlist and other fun things so that the newspaper would be interactive, something they could bring with them as a beach read. 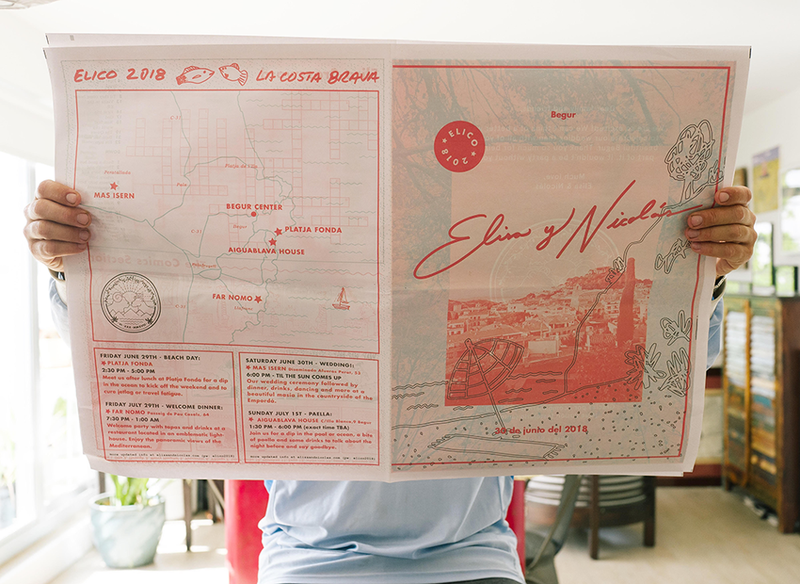 My wedding was three months ago and I still get comments from guests about how much they loved the newspaper invite and how some want to frame it as a memento. When I mailed them out I kept getting texts and photos of my friends posing with the newspaper, taking it with them to brunch or to the beach, etc. And of course, my mom keeps a few copies to show off to anyone that comes to see her. The best part of doing this was working with my now husband on it. It was a fun project for us to collaborate on and we both put a lot of creative effort into it. It was definitely one of my favorite parts of wedding planning and it will be one of our most cherished keepsakes for years to come. Order of service newspaper at Alex and Niamh's wedding. Printed as a digital tabloid. Photo by Ed Brown Photography. We wanted our wedding to be as personal as possible from start to finish. With that in mind, we set out planning the day and trying to include as many quirks and personal touches as we could. We came across the idea of a newspaper when scrolling through Pinterest for inspiration. There were lots of lovely images showing how other brides and grooms had used them as thank yous and we made a decision straight away that these would be perfect for our ceremony. 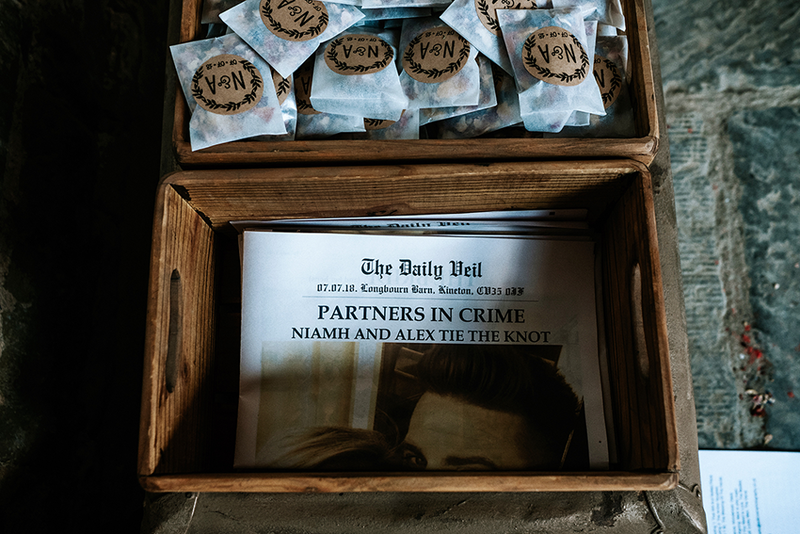 "The newspapers were a great talking point – guests loved the idea and were able to take them home as a keepsake." We designed each page individually using PowerPoint – we could really play around with the design and make sure things were exactly how we wanted them. (Note: Read tips from another bride and groom on using PowerPoint to design a newspaper). 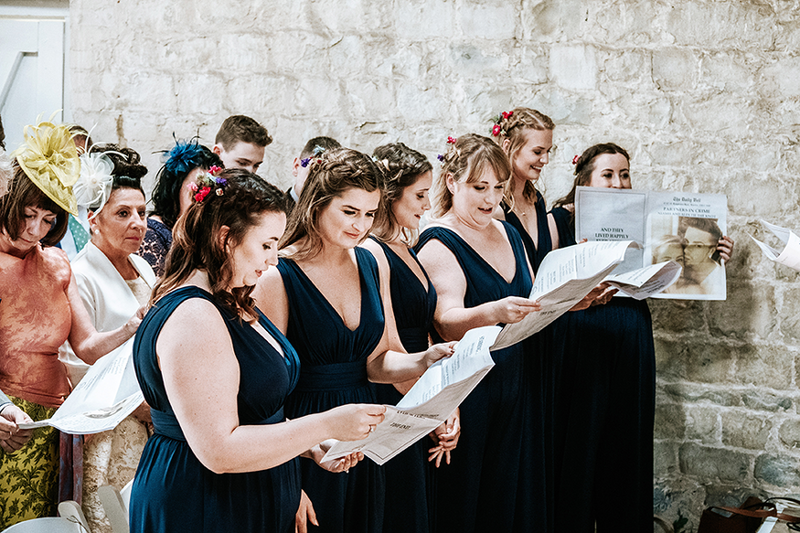 We included photos of the hen and stag parties, names of all the important people (bridesmaids, best men and parents), lyrics to the song we planned to sing during the ceremony, words to all of the readings and some information about what to expect after the ceremony. On the day of the wedding, we popped a newspaper on every other chair so guests could share. It gave everyone a chance to look through the service before the bridal party arrived and to see what was in store. The newspapers were a great talking point during and after the wedding. Guests loved the idea and were able to take them home as a keepsake afterwards, which was lovely. 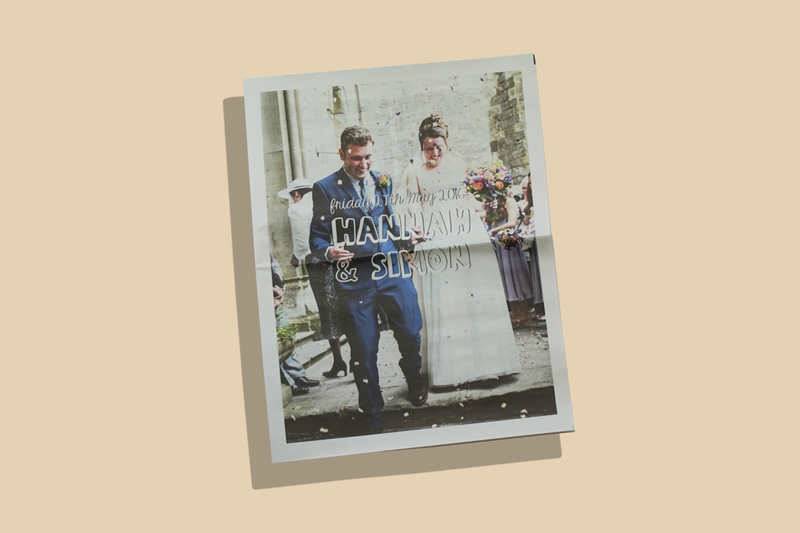 Our advice to anyone thinking of making a newspaper for the wedding: do it! Just don't rush the design process and take time to really think about what’s important to you both—what to include (and what not to! ), important people to mention and great visuals to keep guests entertained. Hannah and Simon on their wedding day at Clearwell Castle. Photo by Lisa-Marie Halliday. As a non-traditional wedding photographer, I am always on the lookout for something different to offer my clients. 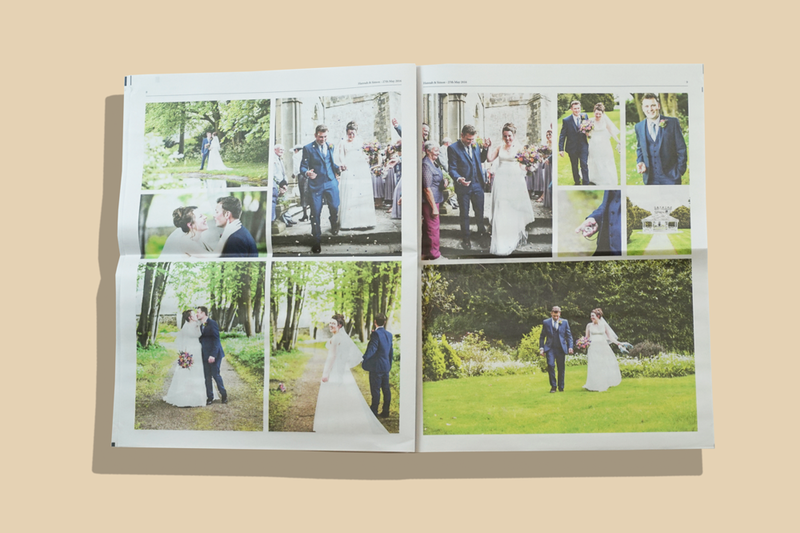 Newsprint is a traditional way of telling stories, but it’s not how you’d expect to see wedding photos printed. I offer newspapers as part of my photography packages – couples can send a copy to all the family at their wedding as a keepsake and as a thank you! Thank you newspaper sent to guests after Hannah and Simon's wedding. Printed as a digital tabloid. 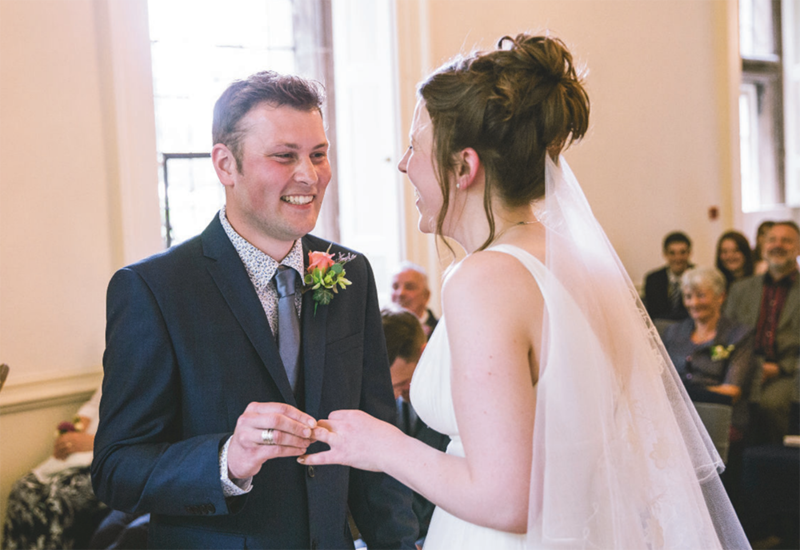 Hannah and Simon got married at gorgeous Clearwell Castle in the Forest of Dean. 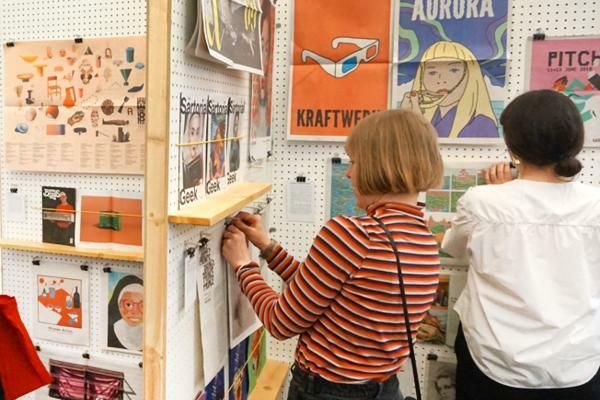 They had previously seen one of my newspapers at a wedding fair and loved the idea. After the wedding was over I asked the couple to pick 30 images for their newspapers – I really underestimated the number and in the end we managed to squeeze in a whopping 74 images! 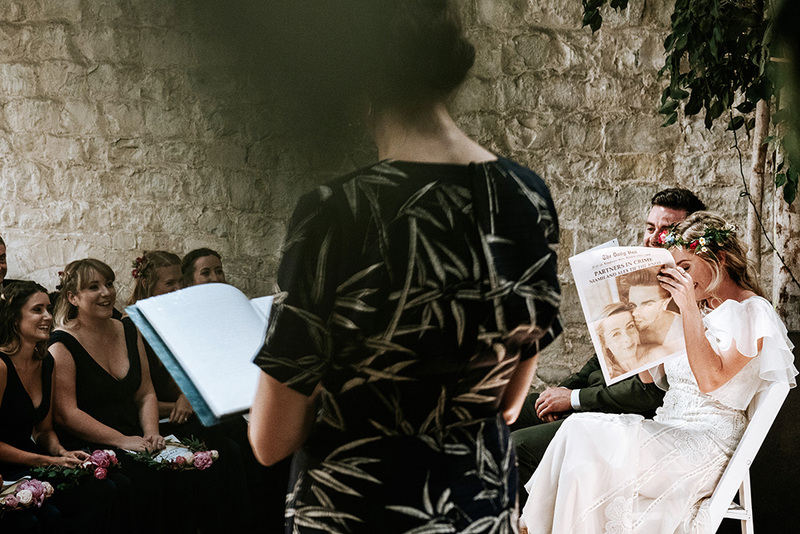 "Newsprint is a traditional way of telling stories, but it's not how you'd expect to see wedding photos printed." I designed the newspaper using Newspaper Club’s layout software, ARTHR. I tried to keep the order of the images to the order of events during the day (with the exception of some group shots). 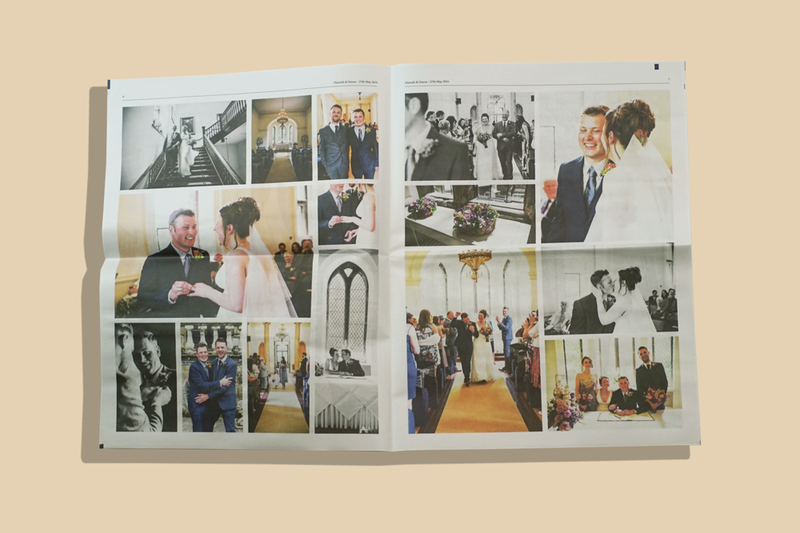 I started by setting the scene with shots of the castle, leading onto bridal prep, the bride walking down the aisle, ceremony, portraits and to finish I whacked a photograph of everyone who had their photo taken before they started to eat – this way everyone who receives a newspaper is also in the newspaper! I left the last page blank for Hannah and Simon to put personal messages on the back of each newspaper. A tip for picking your images: very light colours, such as a cloudy sky or white wedding dress, tend to fade into the background. 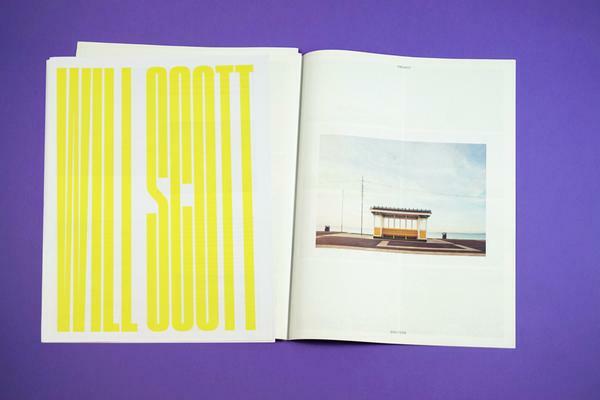 Use bold, high contrast images to make your newspaper look its best! 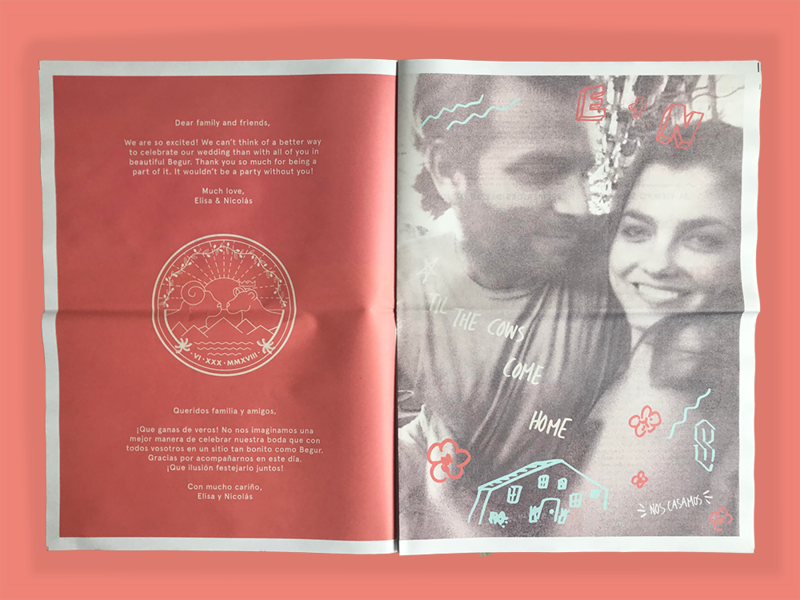 Print your own wedding newspaper with Newspaper Club.